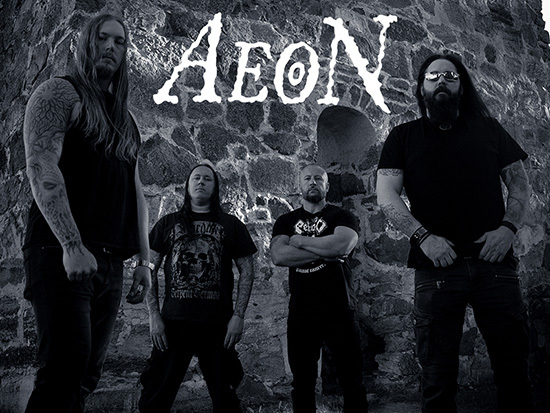 Ready to take the underground death metal world by storm, Sweden’s AEON are back and ready to release their fourth full-length album, AEONS BLACK, on Metal Blade Records November 20, 2012. 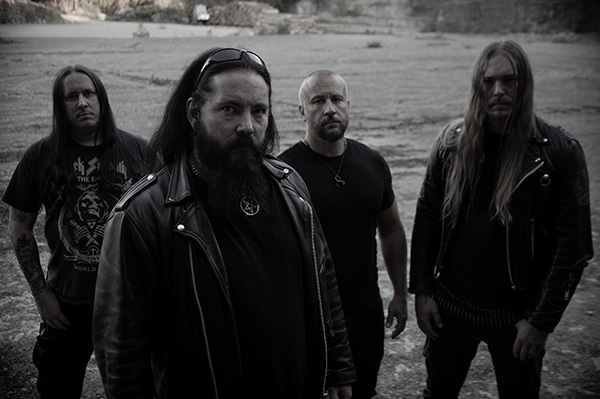 Regarded as one of the world’s most noted blasphemous underground death metal bands, AEONS BLACKis the follow up to 2010′s Path of Fire, which About.com called “a juicy slab of prime-cut blasphemous death metal” and according to Ultimate-Guitar.com, “doesn’t let up in terms of insanely fast tempos, chugging guitars, and demonic vocals,” calling the band “a musical dynamo” and landing the album an 8 out of 10 score. 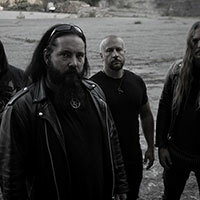 Tommy Dahlstöm (vocals), Zeb Nilsson (guitar), Daniel Dlimi (guitar), Arttu Mallki (Drums), and Marcus Edvardsson (Bass) entered Empire Studio in Östersund, Sweden 1 thru 20 of June 2012 to record AEONS BLACK, which was engineered, mixed and mastered by Ronnie Björnström (Garageland Studios). 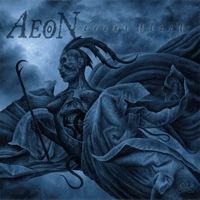 For AEONS BLACK cover, the band secured a piece from infamous artist Kristian “Necrolord” Wåhlin who’s known for creating cover art for bands like Bathory, At The Gates, Dissection, Emperor, and King Diamond just to name a few. “This is definitely our most varied album to date; it has more heavy songs yet it has lots of fast blastbeats and double bass drums. It’s more groovy this time, which I think we lacked on our last album Path of Fire that was fast paced almost all the way through. The band will be touring in support of AEONS BLACK with the first run set to take place in the UK January 2013. More tour dates, including dates in North America, are in the works giving metal fans across the world the chance to see the band perform this new and utterly devastating material live. During the summer of 1999 the four members: Tommy Dahlström, Zeb Nilsson, Johan Hjelm and Arttu Malkki of the newly broken up band Defaced Creation decided to form a new death-metal band that would try to create a more pioneering and interesting style, instead of doing the usual “old-school” death-metal, (even though the roots was in the “old-school” death-metal). 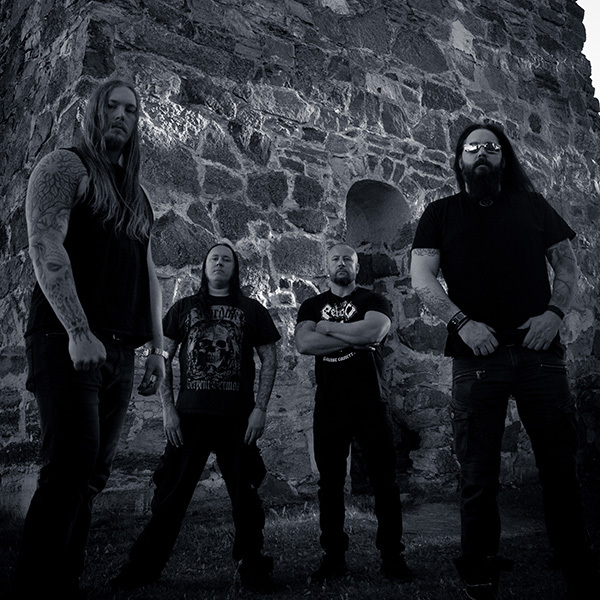 Morgan Nordbakk joins as fill in guitarist and during the Fall of that year, Aeon recorded their first demo, which included the songs “Return of Apolluon”, “Eternal Hate”, “With Blood they Pay”, “The Awakening”, “Bloodlust” and “Hell Unleashed”. 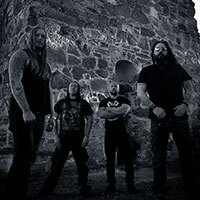 In May of 2001, the 6-track demo was released as a MCD – entitled Dark Order – thru Necropolis Records. Dark Order sold out very quickly and is still in high demand. Later in 2001, Morgan Nordbakk leaves Aeon, to be replaced by Daniel Dlimi (ex-Equinox ov the Gods). Daniel is an experienced song-writer in Aeon’s style of death metal, so the transition was smooth and easy. In the summer of 2002, drummer Arttu Malkki leaves the band to be replaced by Nils Fjellström followed by work on their first album. In January 2009, the band hits the European roads with Hate Eternal, Misery Index and See You Next Tuesday and after that they continued working on the new album. 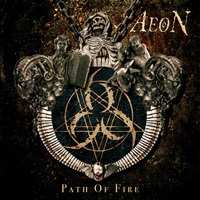 In September, Aeon parted ways with bass player Max Carlberg, who was replaced by former Satyricon bass player Victor Brandt, and the band recorded the album Path of Fire. In November, Aeon supported Mayhem on their Swedish dates on their “25 Years of Chaos” tour. In January 2010, bass player Victor leaves Aeon and was replaced by Marcus Edvardsson. Enter 2012: By the 1st of June Aeon began recording their 4th full-length album and third release for Metal Blade, Aeons Black, with engineer/producer Ronnie Björnström (Garageland Studios). During this recording a 20 minutes documentary was also made, which will be premiered to the masses before the album drops on November 20, 2012. 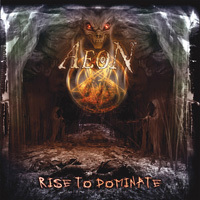 Aeon is already confirmed for a UK tour which will take place in January 2013 with more dates for Europe and North America in the works.